WWE are set to release the Hell In A Cell pay-per-view from 2015 on DVD, the seventh event to bear the name since WWE began the custom of theming shows around their biggest attraction gimmick matches. Since the inception of this policy, the PPVs and titular matches have been a mixed bag, varying from excellent to terrible and contrived outings. This has led some to call for these themed shows to be dropped and the attraction bouts to be used more sparingly, rather than shoe-horn otherwise forgettable feuds into high-profile situations. At other times, everything has come together to create something special, with memorable bouts and feuds coming to a dramatic end, but would this be one of those times? With the Cell match itself being used as the blow-out to a deserving feud between two future Hall Of Famers, plus a good helping of other feuds and storylines to go at, it seemed likely (on paper, at least) that the show would be one of the success stories of the match-themed-PPV genre. The opening vignette mainly focuses on the main event for the show, pitting Brock Lesnar against The Undertaker, setting the scene for the two to wage a war of biblical proportions to close the book on their epic feud. Opening the show is John Cena's US Championship open challenge, which sees the (very surprising, at the time) return of Alberto Del Rio. Del Rio's appearance gets a great crowd reaction and sets the audience alight for the action to follow. The two are obviously very familiar and comfortable with each other, having feuded on and off throughout 2011-2013, including some memorable matches (like the excellent Last Man Standing war from 2011). This outing is largely dominated by the returning Del Rio and serves as a showcase to re-introduce him to the fans, who WWE always assume to have a short memory. It is well executed, smooth and overall a good way to start the card. It is then onto the first gimmick match of the night as Bray Wyatt battles Roman Reigns in Hell In A Cell. This is one of those feuds which critics would argue should not have been inserted into this type of match, arguably devaluing or overexposing the gimmick of the Cell, but regardless, the match is a very good one. While the feud overall felt contrived, the action and creative offense on offer make this surprisingly recommended viewing. Starting pretty slowly the match picks up in intensity as it goes on, incorporating some weaponry and brutal-looking striking to create a suitably violent spectacle to justify their billing inside the structure. The creative use of the kendo sticks is a particular highlight. We are then treated to a very entertaining Tag bout between The New Day and The Dudley Boys and a very strong match between Charlotte and Nikki Bella. Both are very watchable and keep the action varied, ensuring that there is no lull in the quality while each offering something different from the marquee matches on the card. It is then on to the WWE World Heavyweight title contest between Kane and Seth Rollins, followed by an Intercontinental title bout between Kevin Owens and Ryback, which are both extremely average. Both matches are predictable and lack drama, so while the action is fine, there is no real reason to revisit this section of the disc. Finally it is on to the main event, pitting Undertaker against Brock Lesnar in the second Cell match of the show, and second one in their storied rivalry. The first Hell In A Cell match between the two in 2002 was a classic, despite being the first of it's kind where the competitors did not exit the structure for some death-defying bump. This one was, in my opinion, even better than the first. Although certain spots came under scrutiny and criticism - such the allegedly intentional bloodshed and the ripping up of the canvas to expose the wooden boards on the ring - I thought that these helped the match, emphasising and illustrating the danger and brutality that the Cell's mystique is built upon. Power moves, striking, the use of the stairs and the cage itself all added up to a believable and dramatic fight between two genuine titans. An excellent close to a fantastic feud. The only extra on the disc is the six man tag match from the PPV kick-off show, pitting Dolph Ziggler, Cesaro and Neville against Rusev, Sheamus and Wade Barrett (prior to the official formation of the League Of Nations faction). It would have been good to have the precursor to this rematch on the disc as well to add a little more value to the disc, or perhaps some of the other TV build-up to the show, but this is better than nothing. The six men represent themselves well, with some good spots (like Neville delivering a moonsault to Sheamus off Cesaro's back and Cesaro's running European uppercuts around ringside) and all round decent action. All in all, the show is a very good one, with only two matches that would be worth skipping through, while the rest is watchable, enjoyable and entertaining. I would recommend getting this title if only for the two Hell In A Cell matches themselves, but the rest is definitely more worthwhile than simply two matches and a load of filler. The women's match and the match from the kick-off show are both better than I remembered and ones that I am glad to have in my collection, while the US Title match is worth re-watching for the sake of revisiting the moment Cena's Open Challenge storyline comes to an end (even if only temporarily) and the crowd reaction for the return of Del Rio. A strong offering with some historic matches and moments, this is one of the best events that WWE has produced this year. The DVD & Blu-Ray is available in the UK/Europe from WWE Video UK on January 4th, pre order now. It has been an extremely long time coming, for various reasons, but WWE have finally released a DVD to celebrate the life and career of Owen Hart. The release was rumoured for a long time prior to seeing the light of day and was one of those projects that fans had always clamoured for, but had started to believe that it would never actually come to pass. One of the most talented and revered workers to ever compete in a WWF(E) ring, Owen's is a legacy which has been left untouched for years out of fear of litigation from his widow, Martha, who has been vehemently opposed to any usage of his name and likeness since his passing in 1999. I was somewhat dubious before sitting down to watch the DVD after reading the comments from Bret Hart about his thoughts on the release, but was intrigued to see what limitations, if any, had been imposed. I was pleasantly surprised to see the amount of home video footage and interviews with Owen himself throughout the documentary, so those fears were largely unfounded. There is a really good selection of talking heads on the documentary, although some seem to be outtakes from various interviews conducted for other previous WWE releases. There is a slightly disjointed and haphazard feel to the disc due to some heavy-handed edits, particularly as they transition between the main bulk of the documentary and several side chapters of random 'Owen Tales'. Even so, the documentary is a solid effort; comprehensive, interesting and entertaining. It also covers a lot of ground, such as Owen's pre-WWE career in Calgary, Europe and Japan, his first run as the Blue Blazer and subsequent departure, his brief run in WCW and his transformation into 'The King Of Harts'. The feud between Bret and Owen is covered in great detail from various perspectives, giving a very good insight into the most important and significant feud of Owen's career. 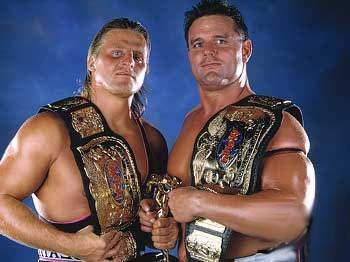 There is also a good deal of focus on the Hart Foundation and Owen's post-Montreal run. Inevitable coverage of Owen's death is brief and tasteful, focusing on the aftermath and the void he left rather than the incident itself. You also get a good feel for the person behind the performer throughout the disc, showing the genuine personality for which Owen is equally renowned in the business as his in-ring ability. The extras include another selection of stories from Owen's peers which give further insight into the man himself and his playful and hilarious antics behind the scenes. We then move onto the matches, starting with Stampede Wrestling bouts against Hiroshi Hase (as Viet Cong Express Number 1) and Mike Shaw (as Makhan Singh). Some more Stampede and international matches (such as from New Japan Pro Wrestling or UK's World of Sport) would certainly not have gone amiss, which is probably what Bret had been referring to when he voiced his concern about the DVD. The Blue Blazer Vs Mr Perfect from Owen's first run with WWF is a really good and varied match, displaying versatility and some of the (cutting edge at that time) offense which continues to influence performers to this day. The WCW offering against enhancement talent Mark Kyle is somewhat superfluous, but welcome if only for the fact that it had previously only been available as a poor quality YouTube video. An early match against Shawn Michaels when Hart returned to WWF is the only pre-Bret-feud match from his days as The Rocket, which is a shame as well, but with such a wealth of great matches to choose from it is not surprising that there are some omissions. Obviously we get the WrestleMania X match with Bret, along with a rare Lumberjack match between the two - both of which are excellent and well worth a watch whether you've seen them before or not. The King Of The Ring Final against Razor Ramon and the speech which follows are very entertaining and the second bout with Michaels from In Your House 1996 is a great outing by both. The finals of the European Championship tournament betwen Owen and British Bulldog is fantastic and comes highly recommended to absolutely any wrestling fan, while the ten man bout from the main event of Canadian Stampede is almost like a 'Greatest Hits of The Attitude Era' rolled into one great match. These are amongst the highlights of the entire set, but the quality of action elsewhere on the discs is high throughout, so there is plenty on offer. This DVD is is a definite must-have for any Owen Hart fans, or for anyone who was a fan in the 1990s in general. It features some outstanding action and is generally insightful and interesting, recapping a very successful career and showcasing the great work of a highly talented individual. The nature of the stories that people tell about Owen are generally very entertaining in themselves and you can see the genuine love that was shared by all who knew him on a personal level. While some more matches from outside of WWE would certainly have been a good move, Owen's most famous work and some of his best opponents are well represented, making this a very decent offering overall. I can't help but feel that a second installment may be necessary, as there are certainly some other matches which deserve to be seen by a larger audience (such as the cage match against Bret, other matches against Shawn Michaels, any matches from his tag team runs alongside Davey Boy Smith or Jeff Jarrett and international matches against the likes of Jushin Thunder Liger and Marty Jones). Even so, whether there are plans for a second disc in the works or not, there is enough here to make this worth the cost and a welcome addition to any collection. Opinions change, but facts are absolute. Looking at the success of NXT can be achieved easily by looking at the brand itself, It’s sell out show in Brooklyn and its successful transition into a brand on the road that allows it to reach all over in America and thankfully for wrestling fans over here the UK too in December. The way I like to judge its success is the effect it has on the main roster, After all its original nucleus and mission statement was to create the superstars of tomorrow and today. 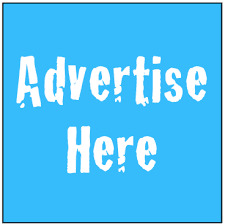 In looking at the sheer numbers we can look to a few. 35 is the number of PPV's since The Shield debuted at Survivor Series 2012 in which an NXT alumni has appeared on the card. That’s every single one. Of those 16 times has featured an NXT guy in the main event and between all the talents that came up there has been 15 title wins, one Royal Rumble winner and a winner of the Money in The Bank brief case. These are impressive figures, factor in Wrestle Mania 31 had one NXT guy or girl in every match bar one, the problem with the above success stories are that it does not happen every time. Has NXT set itself apart from the main shows so much now that we have enlarged our expectations of people moving up to the main roster? Of the 21 people that made the jump from NXT to WWE 10 have won gold in the WWE ranging from tag gold right up to the main prize of WWE title. Some have dominated the landscape most notably Shield guys, Wyatt's, Paige and Rusev. But not every addition to main roster is seen as a success by the fans. They want to see all NXT guys do well they have a connection to it, they have passion it’s the reason NXT works because of the connection, very similar to PWG and ROH fans which I’m sure Mr H borrowed from. What this leads to is lofty expectations when guys debut or get called up they have this fierce loyalty to these guys and any misstep or misuse leads to outcries. We need to start reevaluating what we consider a success. For some it’s who they feud with, others count up wins and some look to gold as the measuring stick. However is someone who is on TV every week and on PPV's whether they win or lose as successful as someone with a belt? 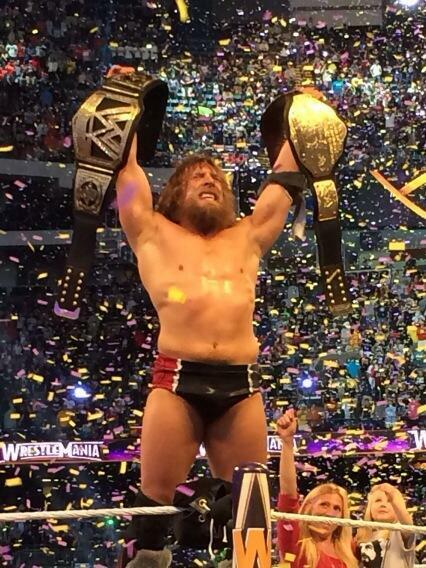 There are only so many titles within WWE and not everyone can hold them. Within the main ranks at the minute we have a large contingent of NXT people in all positions, Divas, Mid card, lower card and main event but we have them there and when this brand was reimagined by Triple H I can see this was the infiltration he would want, No not everyone will be a Seth Rollins but as the numbers earlier suggest almost half of the crew have had a title or two, we shouldn’t feel bad when others don’t, They are performing and get their time to shine. Not everything that works in Full Sail can work on the mass audience but if they have made it to the main roster even if they have went back to NXT and back up again, making it to the same dance as Lesnar, Cena, Taker, Orton is success regardless of where you are on the card and how many titles you have won. The impact NXT has and will go on to have on the largest company in the world of wrestling is huge, the facts prove that but maybe we need to start changing our own opinions on what we measure success as. 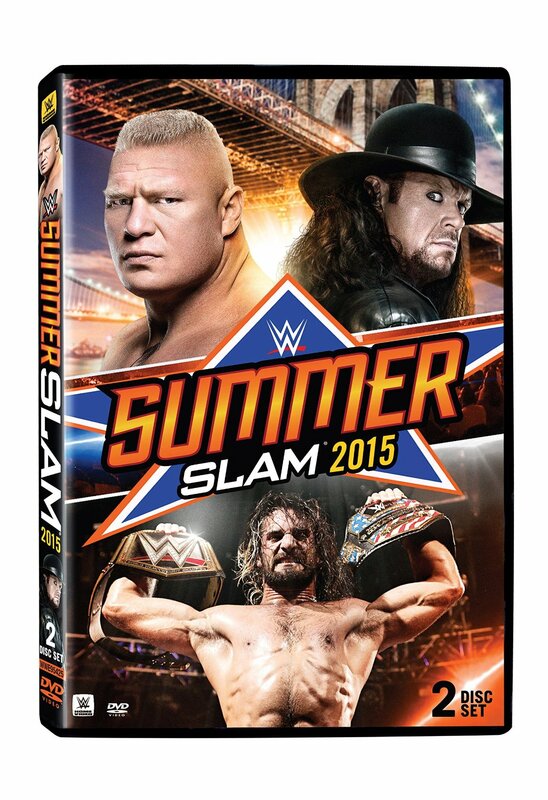 WWE's latest DVD release, SummerSlam 2015, is a pleasantly mixed bag featuring some great action and historic matches. A light helping of celebrity involvement gives the show a big event feel and some incredible marquee matches establish this as second only to WrestleMania in terms of must-see shows of the year. Jon Stewart more than makes up for the fairly mediocre way he opened the show when he interjects himself into John Cena's match with Seth Rollins later on. To be fair, the opening wasn't all that bad, it just seemed a little clunky and overly long. The addition of Mick Foley to the segment was a welcome and logical way to bring it home and get the show started. Randy Orton vs Sheamus is a match I feel like I've seen too many times in the last five years and the various unrelated chants from the crowd throughout this tells me that much of the audience feels the same way. The match is fine, but it's nothing you haven't seen before. New Day's pre-match promo and continued antics throughout their fatal four way with Lucha Dragons, Prime Time Players and Los Matadores make them one of the more fun and entertaining aspects of the show. The fatal four way itself is really good in terms of fast, excellent action and features a variety of styles, so this is one of the bouts which make this a show that is worth revisiting. All four teams make a really good showing of themselves here and the action and execution bring the previously distracted crowd squarely on board for the rest of the show to come. Dolph Ziggler and Rusev put in a good effort, making up for the silly booking of their rivalry with some great in-ring work. The ringside antics of Lana and Summer Rae are superfluous and unneccesary, while the lack of a satisfying ending hardly makes this one for the ages. Regardless it is a watchable and not entirely throw-away segment. Next up, Neville and guest star Stephen Amell (TV's Arrow, just in case you didn't know) take on Wade Barrett and Stardust. Cody Rhodes is absolutely impeccable as the twisted supervillain character he portrays and thankfully, this is one of the instances of celebrity involvement in wrestling that works well for everyone involved and doesn't come across as too contrived or unnatural. It is a good fit, not just because of the Superhero stylings, but also because Amell is both athletic and a wrestling fan, meaning that he understands it more than most celebrity guests. He is not really awkward or unbelievable in the ring and he certainly put in some work to pull his weight in there, which is great to see. The performances of Neville, Barrett and Rhodes are all outstanding as always too, so this is definitely another strong reason I recommend the DVD, as this is one you will want to revisit. Ryback's Intercontinental title match with Big Show and The Miz is a fair effort from the three, although it is in absolutely no danger of stealing the show at any point. The tag match which follows it pitting Bray Wyatt and Luke Harper against Dean Ambrose and Roman Reigns is heated, exciting and dramatic, making this another favourite on a very decent card. Seth Rollins vs John Cena, with both the United States and World Heavyweight Championships on the line, is testament to the unquestionable talent of Rollins and to the fact that Cena has really stepped up his game over the last year or so. Genuinely enjoyable throughout, this is a fantastic match which checks all the boxes to make it memorable and a definite keeper. Even people who can't stand John Cena (which usually includes myself) can't deny that this is a great match. The Divas match on SummerSlam is one of the first installments of the 'Divas Revolution' and features the three competing factions of Teams Bella, BAD and PCB. Whatever criticisms there may be regarding the success of the Divas Revolution, the action here is strong and serves as a far superior offering to the rushed filler that has traditionally consituted the women's contributions. Meanwhile, Cesaro vs Kevin Owens is a superb blend of power, technicality and brutality, with a sprinkling of high-flying thrown in for good measure. These guys are just excellent at everything they do and this is definitely one to watch. Lastly, the main event for the show, Brock Lesnar vs The Undertaker, is an epic installment which any fan of both or either performer will want in their collection. 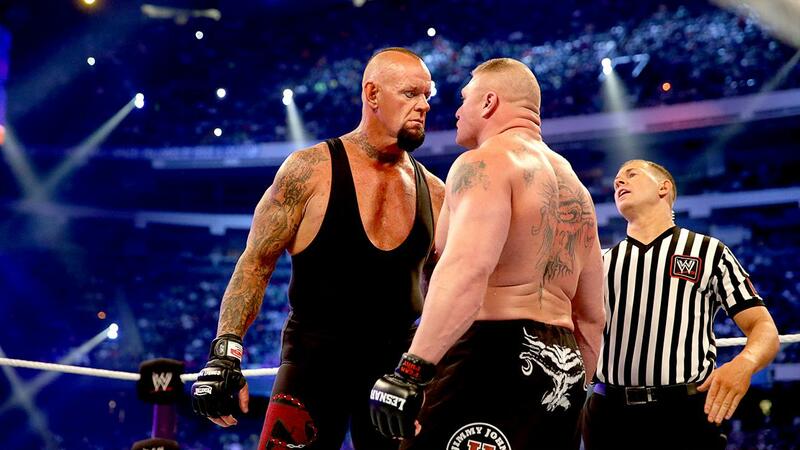 The rematch from their infamous WrestleMania 30 bout starts intensely and is explosive throughout. Hard hitting, suspenseful and generally gratifying, this is an excellent main event. Overall, SummerSlam lives up to the hype of being WWE's second biggest show of the year in a year that included a very strong WrestleMania. The Cena/Rollins and Lesnar/Undertaker bouts alone make this worth owning, but the rest of the card makes this a complete package which will no doubt stand the test of time. Highly recommended. When the WWE Network was due to launch, the announcements concerning potential content referred to live events (house shows) that would be included in the proposed additional programming. While we have seen some specials from NXT, the inclusion of any other live shows outside of the regular TV and PPV shows have, so far, been limited to this single event held in Japan's Ryōgoku Kokugikan hall back in July, although it was announced at the recent Night Of Champions PPV that a second was in the works for Brock Lesnar's Road To Hell tour; a show eminating from New York's Madison Square Garden. 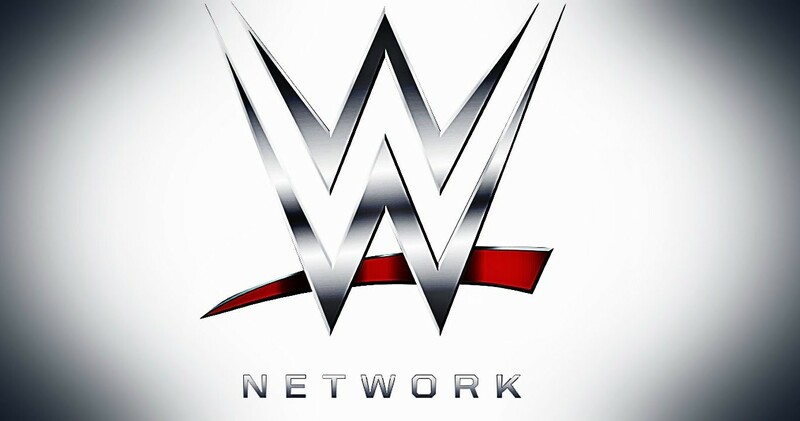 Hopefully there will be much more to come on this front from WWE as, if this disc is anything to go by, the Network specials will add value to the award winning on-demand service. The audience is audibly and visibly into the action from the outset and provide a great atmospheric backdrop to the show throughout. Opening with a great, varied contest between Chris Jericho and Neville, the match is a wonderful blend of technical grappling and dazzling high-flying, as you may expect from these two. A decent triple threat match between Nikki Bella, Tamina Snuka and Paige is next, with all three putting in a good effort but ending anticlimactically, especially given the solid and decent exchanges which form the main body of the bout. Predictably, the match between Brock Lesnar and Kofi Kingston is completely one-sided and despite his novelty attraction status, it begs the question as to why the event was named for what is essentially a squash match. The next bout unquestionably steals the show, as Finn Balor clashes with NXT Champion Kevin Owens in an absolute classic. Brutality, excellent psychology and all-round outstanding action make this a pleasure to watch and is one that will go down as one of the best NXT title matches thus far, which is no meagre feat by any means. Balor's Championship win here, in front of a somewhat hometown crowd (having trained and played out the majority of his career so far in Japan) is met with an explosive applause and rabid adulation. Lastly, the event closes with a markedly mediocre main event, pitting John Cena and Dolph Ziggler against Kane and Wade Barrett in a match which would be more at home on an episode of SmackDown than a big event. While the action here is fine, it is completely clear that the main event spot should have been given to Owens and Balor. Ending the card on this note is a head-scratcher but then again it was a WWE live event and not an NXT show, so you can kind of understand the logic (even if it does beggar belief that any booking committee would put more value on this than on the standout stars of the development league). The disc also includes bonus matches pitting Cesaro against Diego (of Los Matadores) and the remaining members of New Day (Big E Langston and Xavier Woods) against the Lucha Dragons. While each match is under 10 minutes (bell to bell), the action here is strong for undercard offerings and these are welcome additions to the release. Overall, this is a strong DVD and is recommended if only for the show opener and NXT title match. In my opinion, the whole show is pretty strong complete package and is a better offering than many recent WWE TV or PPV outings. WWE's latest offering, 'The Monday Night War Vol. 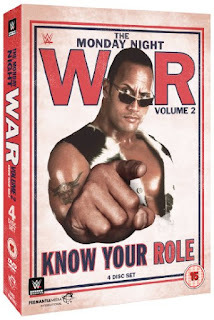 2 - Know Your Role' is a must-own title, particularly for those who were fans during professional wrestling's most celebrated period. It also provides a fascinating insight to anyone who has simply heard of the Monday night wars, or even seen the first volume but didn't actually experience it first hand. 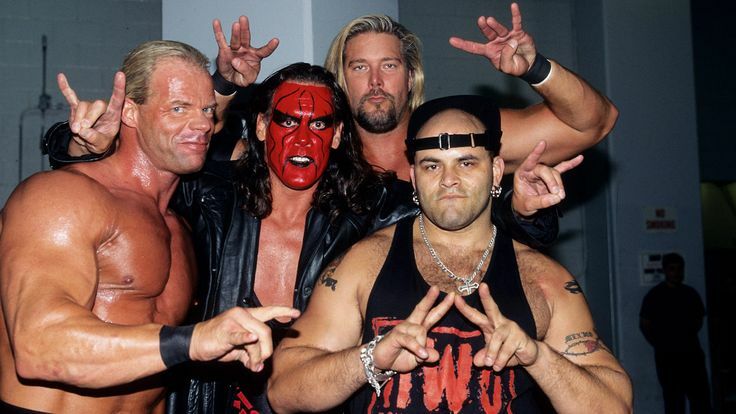 The ratings war between WCW and WWF with their flagship programs on Monday nights provided some of the best action, creative storylines and innovative characters that the genre has ever produced and the behind-the-scenes news, rumours and tension provided an extra dimension to fans as the explosion of the internet started to permeate pro wrestling like nothing that had ever be seen before. The added drama, alongside both companies churning out some of the best output that fans could hope for, made this perhaps the most memorable and beloved period in pro wrestling history. While the Monday Night Wars have had a lot of coverage on WWE programming, this collection of documentaries delves into the period to a degree never seen previously, and provides perspectives, stories and experiences that even the most educated fan will find informative, interesting and surprising. Completely candid accounts from the key players in the industry at the time, as well as current stars who were influenced by the wars, give this an incredible depth. The documentaries were first available on the WWE network, but the discs also include some extras which make this even more of a loaded set, courtesy of post-episode analysis for each installment by Eric Bischoff. Disc one includes episodes on Chris Jericho and the influence of ECW. 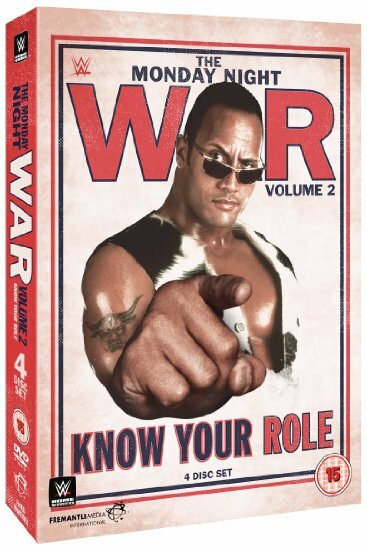 Disc two then gives us the volume's title episode by analysing the rise and career of The Rock before delving into the Women/Divas role at the time. The third disc looks at the mainstream pop culture elements of the war, with celebrity appearances and the crossover appeal of many top stars before moving on to the rosters, factions and defections which were the cornerstone of the battle between the two industry giants, then an episode dedicated entirely to the backstage faction which held perhaps the most influence, The Kliq. The final disc starts with the self-explanatory title 'Mistakes In The Battlefield', looking at the errors which cost each side (mainly WCW) their ratings supremacy, before we move on to 'The Fall of WCW' and 'Life After Wartime', where we explore the final days of WCW, Vince's purchase of the dying brand and the stars who would later appear on WWE programming. The set covers the period from every conceivable angle, looking at the characters, promoters, storylines and performers who made the wars so memorable and helped their respective companies reach the heights that they were each able to scale at different times. The talking heads and highlight clips are all well selected and the detail and insight the viewer gets into the on-screen and behind-the-scenes happenings of the era are unparalleled. Highly recommended for any fans of any age. Volume 3 of The Very Best of WCW Nitro does leave you wondering if it’s a case of diminishing returns. At what point, for example, does “the very best” step down to being “the best”? Running at seven hours, DDP hosts a compilation of more than thirty matches, with backstage segments filling in some of the WCW stories that were taking place at the time. There’s very few bad matches here, though not all of them are the most memorable. It’s a great catalogue for the wrestling greats, with many championship matches and marquee events showcased. Watching the likes of Guerrero, Malenko, Guerrera, Jericho and others in action is a reminder of how great WCW was in its day. Whilst the bigger names are well represented through the nWo and the all encompassing nature of that group, women’s wrestling is massively understated, as is the contribution of Chris Benoit. That said, it’s a package that covers the breadth of WCW Nitro, with heavyweight matches of Hogan, Hall, Nash, Flair and Sting mixed in with the cruiserweight action of Guerrera, Jericho and Eddie Guerrero. Elsewhere, there’s matches that can only be described as oddities - Rick Steiner vs Hak, anyone? Matches are shown in their entirety, with commentary intact - so, viewers will be able to familiarise themselves with the occasionally questionable commentary as the promotion descended into the madness that it would later become. Occasionally, additional context is added to matches by DDP, as he reveals his own recollections with the humour, but for the most part it’s a collection of isolated matches, scattered throughout the years, from 1995 to 2001. It’s possible, for fans unfamiliar with WCW, to pick up the ongoing stories thanks to the commentary, and it certainly does leave the viewer wanting to find out more - it would have helped immensely if the matches were introduced with an on-screen graphic showing the date, instead of having to wade through the DVD menus to find out what happened when. More DDP offering context to the matches would have also helped immensely. The decision to replace three themes - Jericho gets his WWE theme, Sting gets his Crow-era theme and Hollywood Hogan gets… a generic rock guitar theme - does stand out a bit at first. That said, it’s not a deal breaker for the action on show here, just a tad anachronistic for anyone who is more familiar with the product. From start to finish, it’s an entertaining, though occasionally bewildering, package - some of the backstage segments drag on with nWo takes over Nitro being longer than most matches - and there’s only so much of the nWo getting the upper hand that you’ll be able to take before it gets boring. Despite the prominence of the nWo, the wrestling action is still superb and any opportunity to relive the cruiserweights, Flair, Bret Hart and others in action is worth watching. If you’ve already purchased volume 1 & 2, chances are you’ll be up for purchasing volume 3. Starting with volume 3 would be an unusual buying decision, but it’s certainly worth picking up if you’re after a bit of classic wrestling action.